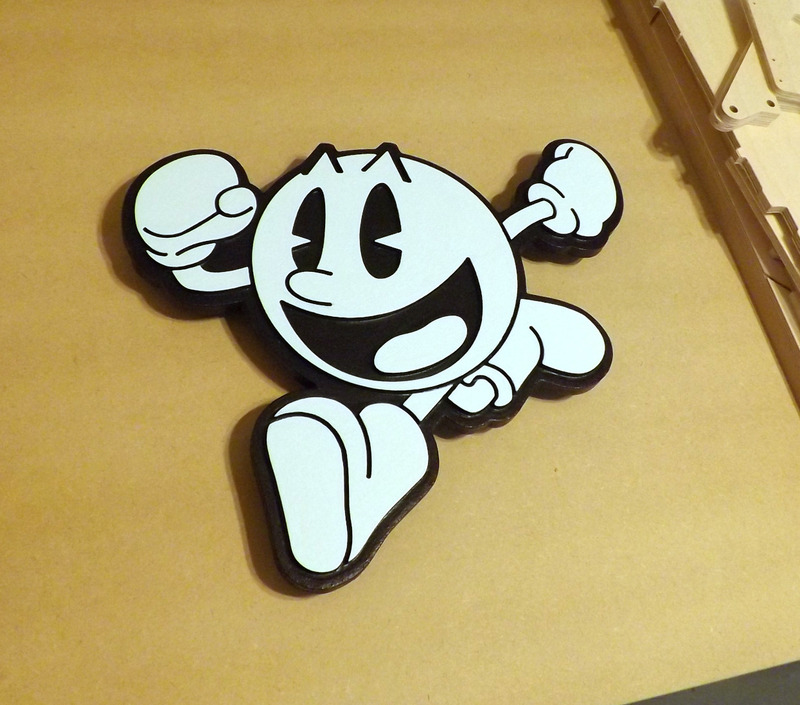 Here is a super pacman I cut out using my cnc. I've painted the black and primed the surface. I have yet to add the appropriate colors. Thanks Machine, I appreciate the feedback. You plan on selling these? If there is interest I will consider making a small run. pretty sweet, would look nice on my wall. Price?? Hi machine, I need to work out some more details on production (mainly finishing and hanging options along with a toolpath tweak or two). Then I will have a better idea of price. Is there any one else interested?